Learn ZW3D at your own pace on your own schedule. Get up and running fast with Show-n-Tell 3D tutorials, that work like a 3D book. The Show-n-TellTM Tutorial system is embedded into all of the ZW3D products, providing on screen step-by-step lessons on a wide range of topics. Show-n-tellTM is also has a complete set of authoring tools and is used for design review assembly instructions. More about Show-n-TellTM Built-in Tutorials. Directly read other CAD data from CATIA, NX, CREO, SOLIDWORKS, SOLIDEDGE, INVENTOR, including 3D models and PMI. With "Associative import" function, the imported 3D model can be updated after editing in ZW3D. Any 3D models can be directly saved as CATIA V4/5 part or assembly file. ZW3D has good capability to convert 3D model file, including IGES, PARASOLID, STEP, DWG/DXF, STL, VDA file. For image file (jpg, tif, bmp), many work can be done in ZW3D. Such as 2D images imported into sketch environment can be converted to lines, arcs or curves. Any CAD model can be saved as 2D/3D PDF. Sketching is easy in ZW3D especially with tools such as Quick Draw and Ready-sketch. These automation tools allow users to create fully-constrained sketches with a single command. Besides editing tool and dimension & constraint tools, various inspection tools can help designers to quickly create a well-define sketch, such as curve connectivity or overlap inquiry. Quickly draw the free curves with wireframe tools. And different types of curves can be easily got, including projection curves, intersection curves, silhouette curves, centerlines and so on. The 3D sketch is an independent environment. Apart from drawing 3D curves, designers can add dimensions and constraints as needed. In ZW3D, 3D modeling can directly start with quickshape without the sketch. A range of tools are provided for true parametric (dimension driven) feature-based modeling, including equation manager, history manager, design tools, part configuration and so on. 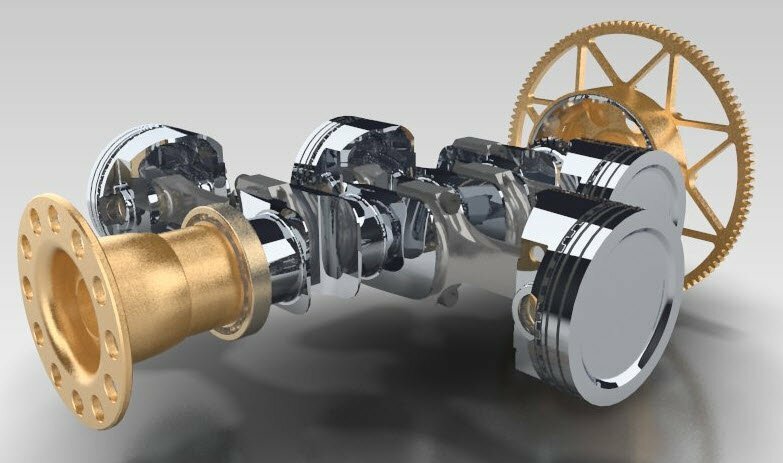 With ZW3D, users learn fast with Show-n-Tell tutorial, and work fast with clear 3D design workflow. In ZW3D, 3D modeling can directly start with Quickshape without a sketch. A range of tools is provided for true parametric (dimension driven) feature-based modeling, including equation manager, history manager, design tools, part configuration and so on. ZW3D is easy-to-learn. Besides intuitive UI, users can easily get command of it with Show-n-Tell tutorial and clear 3D design workflow. ZW3D offers a set of tools to handle your big and complex products and assembly. From inserting component, defining alignment, inquiring status to interference check, all work of Top-Down assembly design can be performed. In addition, customizable part library function is provided. In ZW3D, designers can easily do in-place component editing and conveniently manager the assembly project with multi-object file. Dynamic section view and visual analysis tools are provided to check surface quality and product structure, such as draft angle and thickness analysis. Users can continuously work on a model while displaying either a zebra stripe or draft analysis thus providing instantaneous, real-time feedback without interruptions or slow-downs. Whether laying out 3D models or using traditional drawing techniques, ZW3D makes it simple to create production drawings and details. Creating views of 3D models and assemblies is easy, since all views update automatically to reflect model or assembly changes. 1. New projection source settings to extrude or include from views. 7. Style Manager support to manage more objects. With ZW3D healing function, users can analyze and quickly repair abnormal conditions (e.g., open edges, tiny gaps, duplicate faces, intersection loop) found in the geometry of imported files. Thousands of such problems can be solved in minutes. Even though ZW3D can go straight to work on poor geometries, great healing tools are still essential to anyone that works with imported data. ZW3D gives designers a simple way to quickly modify any 3D model geometry with direct editing tools. Simply pick the model geometry and make fast adjusting without history regeneration. Direct Editing combines the speed and flexibility of modeling with precise control of dimension-driven designs. It helps designers to speed up design and save time. PMI (Product Manufacturing Information) is 3D annotation, which allows designers to intuitively create dimension and annotation on the 3D entities. All PMI objects are listed in view manager, and can be inherited to related 2D views. Library design consists of part seriation and library definition, which can speed up the design process, save time, increase productivity and reduce mistakes. Configurations allow designer to create multiple variations of a part with different part attributes, variables, features and dimensions, or different version of an assembly with different part configuration, component status and constraint parameters. The library can be easily created based on configuration data or defined by the excel file. During the design process, you could select the suitable part or assembly to reuse the library to raise efficiency. •KeyShot: User can directly export 3D model from ZW3D into KeyShot to make the attractive rendering. •FEA (SimWise): ZW3D can directly link with SimWise with optimized 3D data to finish stress-strain and deforming analysis. •Traceparts provides free 2D & 3D CAD files, modes and drawings of various kinds of standard part. These models or files can be directly inserted into ZW3D from the website. ZW3D provides various morph, wrap and flex tools which can easily reshape the model. These edits can be made to open or closed shape, points, wireframe or STL models. Efficiently create the high-quality surface model by ZW3D freeform tools, such as UV curve mesh, FEM patch and Dome. Based on the unique Solid-Surface Hybrid Modeling technology, ZW3D break the limit between solid modeling and surface modeling and speed up the modeling process, especially for surface modeling. Expert assembly provides the designer with tools to finish both top-down and bottom-up design, which can facilitate automatic updates across multi parts. Also designers can define alternate components, different configurations, exploded view, etc. With animation tools, designers can demonstrate the design's basic operation as they would with a real life product. ZW3D Sheet metal module provides user with a full set of tools to finish various sheet metal designs which including various flange creation tools, froming tools and editing tools such as Extend flange, Bend taper and so on. Besides, ZW3D can easily convert external sheet metal part or solid part into ZW3D sheet metal part and then unfold it correctly. 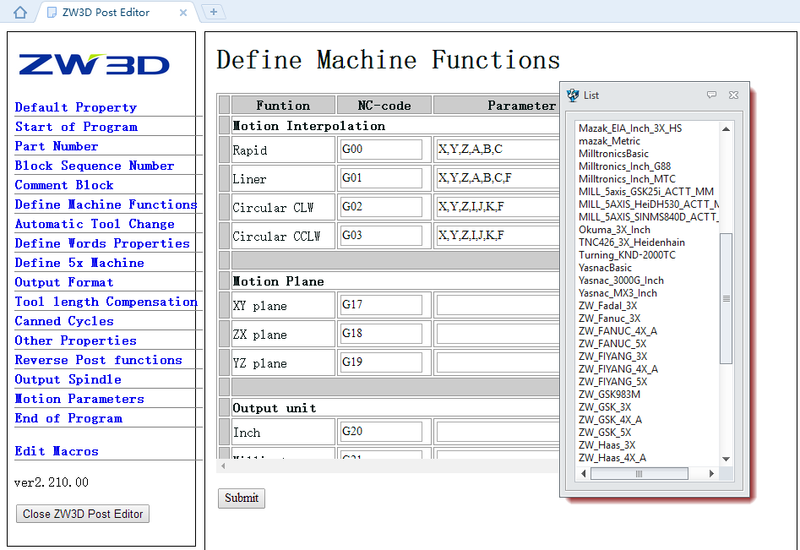 ZW3D weldment module provides various structure design tool as well as structure BOM for weldment design. Users can work from design to drafting seamlessly no matter use Pre-defined or customized profile. Built-in reverse engineering module provides tools to build surface or 3D model from STL files, point cloud or scan data. And the prepared model can be used for CNC machining. ZW3D electrode module provides automated tool and manual assistant tools for electrode creation. 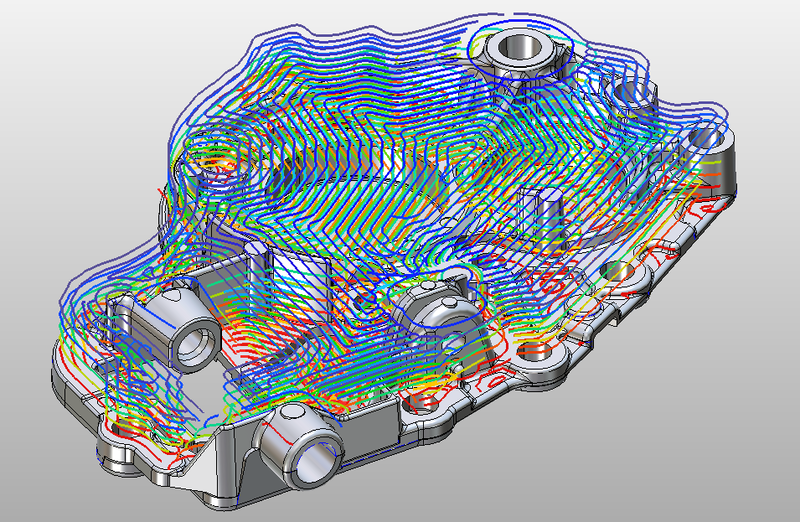 User can works seamlessly between electrode design, drafting and CAM. According to the mold design process in practice, ZWmold offers corresponding process tools for model preparation, splitting, detail structure design, and mold base & standard part library to increase work efficient. FTI is an expert tool for user to unfold complicate models. And it is the most accurate and most recognized real-time material cost reduction tool for estimators and tool engineers. Nesting can directly pick any geometries to form close loops as "Nesting Profiles" and "Blank". It is suitable for sheet metal working, woodworking, packing, printing, etc. Nesting needs a specified dongle key inserted into user’s PC to activate before starting. ZW3D 2X turning includes outer diameter and inner diameter roughing, finishing, threading, grooving operations, as well as hole making operation. The 2-axis milling provides a rich set of tool paths for rough stock removal and surface finishing. It also provides the means for the operator to make holes or cut access holes with drills or mill tools. The 2.5-axis tool paths include profiling and pocketing by collapsing step-over (inward or outward), parallel linear cuts, or continuous spiraling. ZW3D automatically recognizes hole features and selects the proper tooling, spot drill, tap, c'bore or c'sink. ZW3D gives the users total control over parent tools. You can drill, bore, ream or tap points, circles, cylinders, half cylinders (common with imported parts) and native or imported holes. Automatic generation of correct and efficient 3D CNC machining plans require the identification and association of features such as holes, slots and pockets, with a distinctive manufacturing process. Using ZW3D’s combination of tools, automation and shop-floor machining logic, ZW3D breaks down part topology into solid features and then analyzes the capabilities of library tools to produce an effective, efficient machining plan and generate a realistic machining workflow. Milling and Turning strategies can be simulated in the same environment, helping us intuitively analyze each manufacturing status to safeguard machining process. • Enable to insert user commands into the NC file. 3 Axis QuickMillTM offers dramatic speed and tool path improvements for tool and die machining applications, which has a full range of milling strategies and cutting techniques to create proper and precise cut pattern on 3D shape, accelerate the programming process on both simple and complex milling. SmoothFlow™ motion is softly contoured with corners and tight areas safely milled without full-width cuts which prevents tool and spindle overload. All of these factors are critical for unattended machining to achieve extended tool life and reduced milling time. ZW3D SmoothFlow™ gives programmers the confidence to boost productivity with ideal feed-rates and cutting technology. 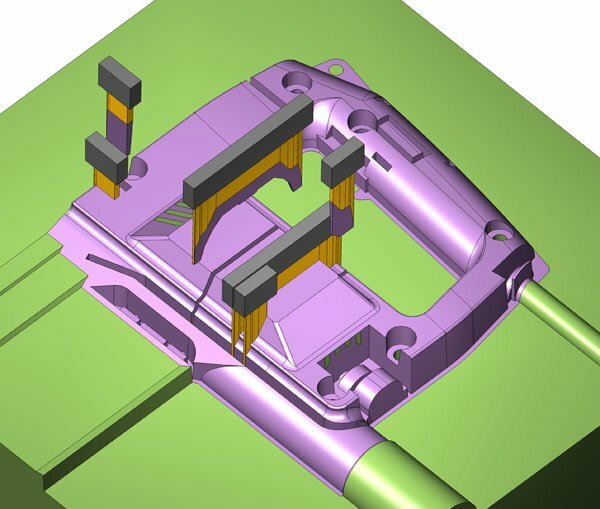 5X milling provides various of operations for the user to create tool path effectively following their demands on 3D model, which offers strategies such as Plane, Swarf, Drive-curve, Flow, Side and Guide surface, and convenient axis control via the definition of the lead and roll angel manually or guide by the typical shapes automatically.